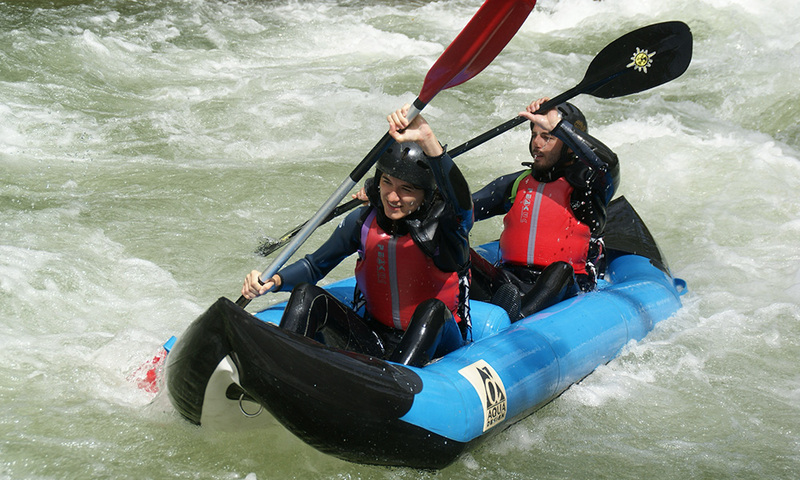 Have fun while descending a whitewater river in a boat for one or two people. The guide will remain at all times next to us in a kayak, showing us which the correct way is in order to have a successful and safe descent. 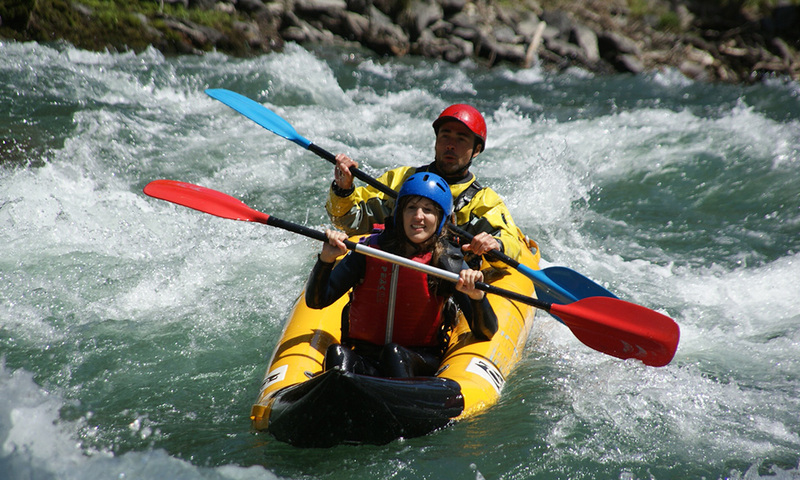 The guide is able to lead up to two canoes at a time (4 people). 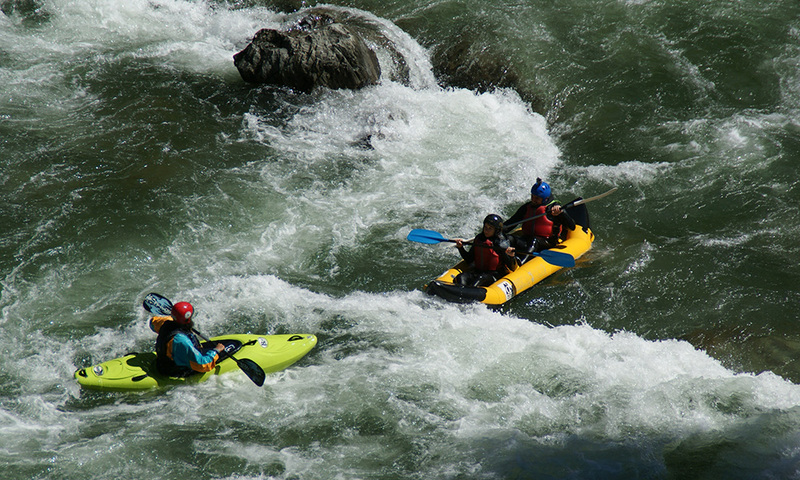 The activity will be run by an entitled guide for the speciality in whitewater (FEP). 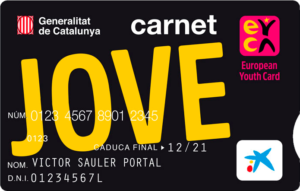 + All material is approved by the CE. Safety talk (30 min. approx. 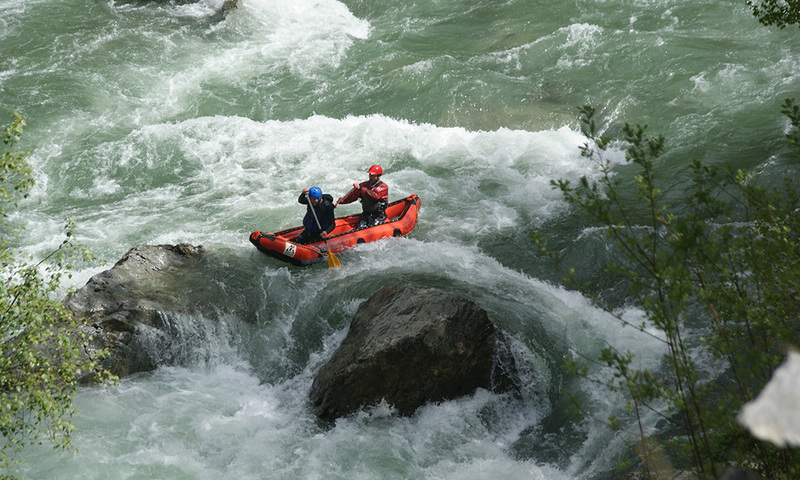 ), safe practice and performance in the river before staring the descent. Monitoring by road transport, first aid and communication with the base. Visual contact with the road assistance vehicle. Communicate the company any type of disease (respiratory, cardiovascular, diabetes …) and physical abnormalities (lesions). Any incident during the activity has to be communicated to our guide. In every adventure activity there exist the inherent risks caused by sport (contusions, turning over…). These are risks that we may minimize if we act according to our guide’s instructions. In case we turn over, we will have to move into safety position and with our guide’s help, we will turn the boat over to get on it again. 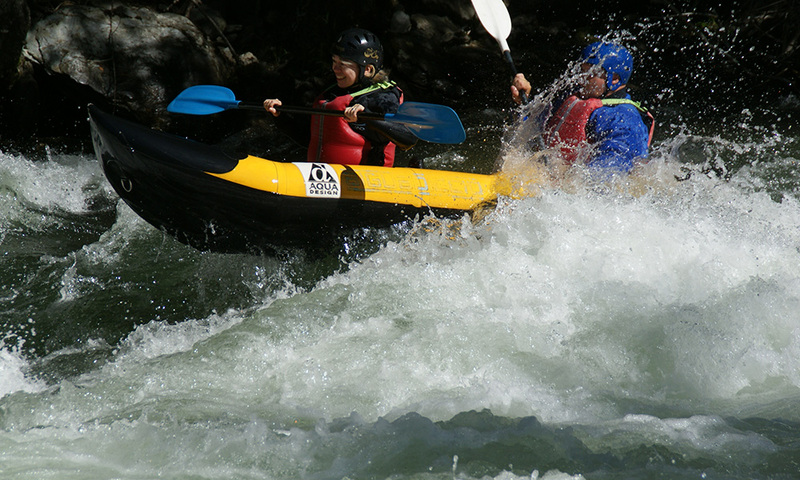 This activity is recommended for those who enjoy adventure and are willing to get wet. Complaint forms are available to our clients as well as accident insurance and civil responsibility.